Personal goodwill is the intangible value that arises from the efforts or reputation of a business ownerCEOA CEO, short for Chief Executive Officer, is the highest-ranking individual in a company or organization. The CEO is responsible for the overall success of an organization and for making top-level managerial decisions. Read a job description or other individual. It means that the value is only associated with the person working within an organizationCorporationWhat is a corporation? A corporation is a legal entity created by individuals, stockholders, or shareholders, with the purpose of operating for profit. The creation involves a legal process called incorporation where legal documents containing the primary purpose of the business, name, and location and not the business itself. In accounting and finance, goodwill is an intangible asset, whose value cannot be traced to a distinct and identifiable source. 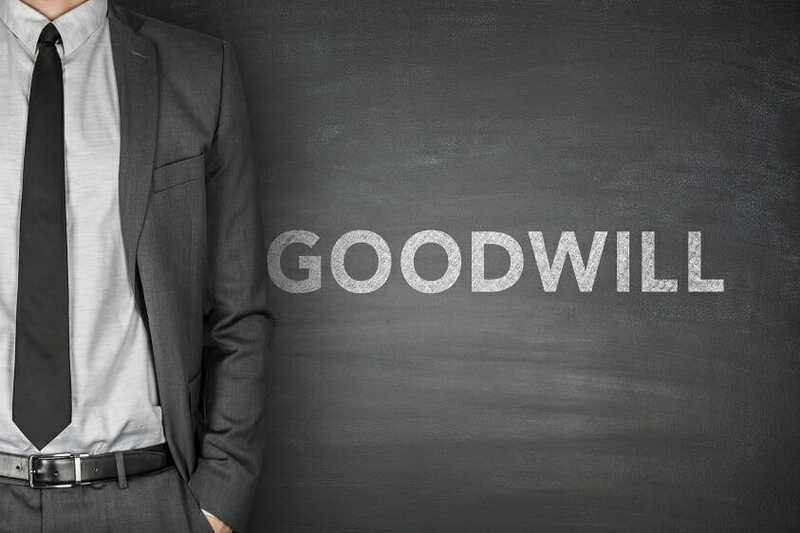 Personal goodwill is different from enterprise goodwillGoodwillIn accounting, goodwill is an intangible asset. The concept of goodwill comes into play when a company looking to acquire another company is willing to pay a price significantly higher than the fair market value of the company’s net assets. The elements that make up the intangible asset of goodwill. The latter is extracted from the characteristics of a particular business, regardless of the individuals who own or run it. So, why is differentiating between personal and enterprise goodwill important? How can personal goodwill be valued? Read on to learn more about personal goodwill. The best way to differentiate between the two concepts is by giving an illustration. Consider two beauty salons: salon A and salon B. The two salons are just one mile apart, and with the same ownership structure, equal assets and liabilities, and even roughly the same net income. But beyond these similarities, the two salons don’t have anything in common. Now suppose salon A is strategically located at an intersection and, hence, receives customers on a regular basis. The profits or losses incurred are usually distributed evenly among the owners. In contrast, salon B is located in a secluded neighborhood, where most customers need to make appointments, often with specific stylists. In such a case, the profits are shared based on the total revenue generated. Although the two salons earn almost identical benefits for their owners, there’s a difference in the nature of goodwill. With salon A, their profits are directly related to its strategic location, business modelIB Pitchbook - Business Model, Forecast, OwnershipEvery company's business model is unique, and their execution of key activities is how a company derives its competitive advantage. It is imperative that an investment banker gains a strong understanding of the business, how it, and the profit-sharing mechanism. But in the case of salon B, their profits arise from the salon’s reputation, personal skills, and repeat clientele. It means that an owner of salon A is entitled to a higher share of enterprise goodwill while the one who owns salon B receives a higher proportion of personal goodwill. If the owner of salon A decides to sell the enterprise, it will be much easier to transfer goodwill to the prospective buyer. This is because the buyer has an expectation that the earnings of the business will continue regardless of who is working in the salon. However, an owner of salon B will find it challenging to transfer personal goodwill because of the potential decline in earnings. From a valuationValuation MethodsWhen valuing a company as a going concern there are three main valuation methods used: DCF analysis, comparable companies, and precedent transactions. These methods of valuation are used in investment banking, equity research, private equity, corporate development, mergers & acquisitions, leveraged buyouts and finance perspective, one may wonder why differentiating the two types of goodwill matters. Here are two instances where this distinction plays a role. Differentiating personal from enterprise goodwill is especially crucial if one intends to sell the business. For instance, buyers who acquire personal goodwill from the business owners won’t be subjected to corporate taxes, which they would incur if they’d paid for enterprise goodwill instead. When determining the total proceeds to be paid following a business evaluation, it’s crucial that one separates personal from enterprise goodwill. This is because most buyers are only willing to pay for intangible assets that offer direct benefits. Put simply, buyers prefer to pay for enterprise goodwill only. However, it’s possible to structure businesses in such a way that one can also transfer personal goodwill and its related benefits. It can be achieved by ensuring that there are formal employment contracts. Throughout history, entrepreneurs and legal professionals have not been able to agree on how personal goodwill can be valued following marital separation. In a majority of states, courts require couples to have a clear distinction and valuation of personal and enterprise goodwill. The reason for this is that personal goodwill is not taken as an asset, hence, the need to exclude it from marital possessions. But in some states like Arizona, personal goodwill is regarded as a marital asset. There are two main methods used in valuing personal goodwill. They are the With and Without Method, and the Multi-attribute Utility Model. The with and without approach tries to value businesses by using the revenues generated. It works under two scenarios – with the specific person remaining actively involved in the organization or without the individual continuing involvement. Under the with case, the projections are a true reflection of the business assumptions and cash flows. The without method, on the other hand, makes the assumption that a business will generate less income if the key players exit the business venture. According to the without technique, it takes the new business owner several months or years to earn the kind of revenues and profits that the departing key individual was generating. Consequently, this scenario shows a lower value for the personal goodwill. The Multi-Attribute Utility Model (MUM) is a mathematical tool used in assessing alternatives and in decision-making processes. The application of MUM in valuing personal goodwill is a concept that was first introduced by lawyer David N. Wood, who used it in a 2003 Illinois family case. Although the technical details of the model are rather sophisticated, the MUM, at its basic level, is a mathematical program that helps to quantify subjective allocations. The MUM technique starts with the valuation expert, highlighting the different attributes that comprise personal and enterprise goodwill. More specifically, the elements of personal goodwill are an owner’s knowledge, personal reputation, and brand name. Attributes of enterprise goodwill include enterprise-wide business systems, numerous offices, and a strategic business location. Once these attributes are clearly defined, the next phase involves assigning weights to each one of them. The weights are assigned on two fronts – their importance and existence. The valuation expert can use different scales at this point, e.g., 1 to 5 or 1 to 10. The significance and existence weights are then multiplied to find a “multiplicative utility” factor for every attribute. Lastly, the multiplicative factors for the personal and enterprise goodwill are summed together and the respective proportions of each attribute computed. It makes it easy to express personal and enterprise goodwill as percentages. Although this model comes with a few disadvantages, it provides an excellent framework for quantifying subjective attributes. It’s already being used in several family law courts. Personal goodwill refers to the ability, skills, reputation, network, and experience of an individual within a business. The value resides with the individual, with little commercial value, and is difficult to transfer. However, separating personal from enterprise goodwill can be crucial, especially if one is planning to sell his or her business. In such situations, the business owner can value personal goodwill separately from business goodwillGoodwillIn accounting, goodwill is an intangible asset. The concept of goodwill comes into play when a company looking to acquire another company is willing to pay a price significantly higher than the fair market value of the company’s net assets. The elements that make up the intangible asset of goodwill. There are two main methods of valuing personal goodwill – the Multi-Attribute Utility Model and the With and Without Method.